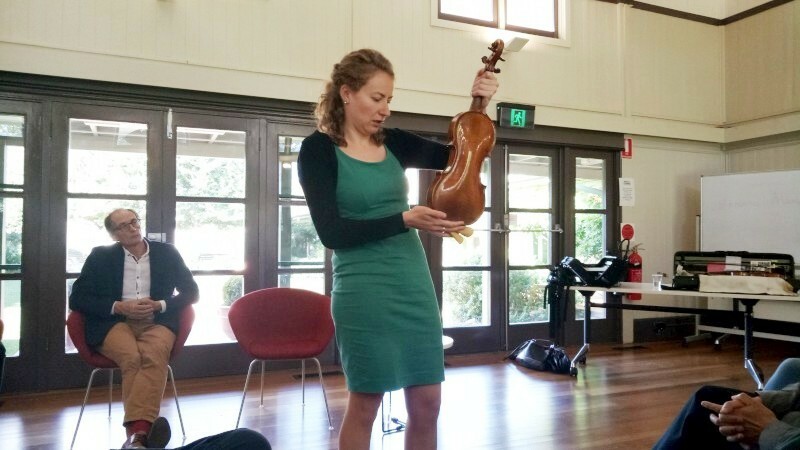 The Canberra International Music Festival is on again. 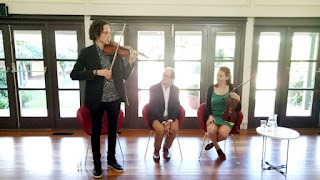 The first thing I managed was a talk session with two violinists: Roland Peelman as host with internationals Cecilia Bernardini and Tim Fain. 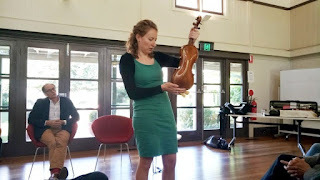 The chatter was of violins (of course), why they took up their instruments, what specific instruments they play, how are they different, but also into period music, especially its development over recent decades and the huge upheaval it caused. Interestingly, too, we heard the two violins live in comparison. Both are seriously impressive instruments, both from the classic source, Cremona. Cecilia plays Amati; I didn't catch Tim's family. Tim's is set up as modern; Cecilia's is set up for period playing, with gut. She uses the period bow, but also a transitional bow for classical music. We heard the differences between instruments and between Cecilia's bows. Fascinating and truly a rare opportunity. 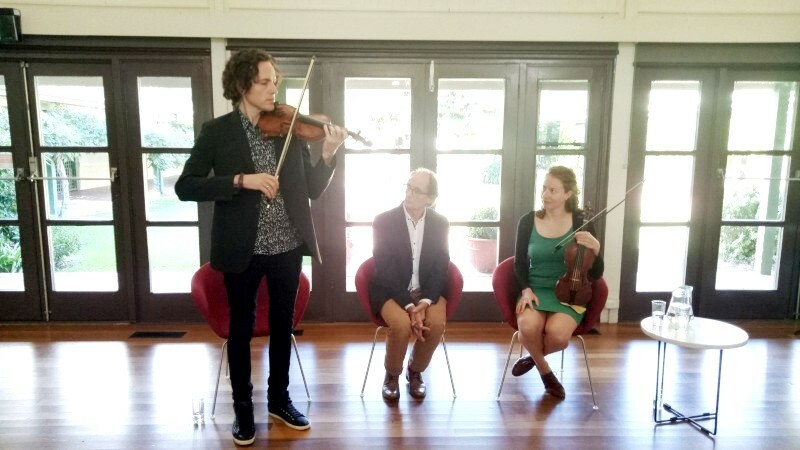 Roland Peelman interviewed Cecilia Bernardini and Tim Fain (violinists) at the Ainslie Arts Centre.